Is it spring yet? I had to buy myself some tulips today to remind myself that winter is almost over. Earlier this week this winter got really long when I took a bad fall on the icy sidewalks and hit my head hard enough to knock myself out. Found out I have a pretty bad concussion, so I will be taking it easy over the next couple weeks. Something I am really looking forward to is to finally officially open my home studio in beautiful Devon. The painting was finished last week and new wooden backdrops will be going up soon! I am hoping to host an grand opening party sometime in March or early April, watch for more details in my VIP group on Facebook. I am so lucky to see familiar faces every year, families that have trusted me to be their family photographer from the beginning. There is really nothing more rewarding than families that return to me. As a photographer and artist confidence is sometimes a struggle, but every time I see a family again I really feel like I am doing what I am meant to do. I have also been getting so many referrals as of late, and I truly want all of my amazing families to know how appreciative I am when you pass my name on to friends and family - word of mouth is absolutely crucial to my success and I am so thankful to all of you who helped me grow my business to where it is today. I do offer referral rewards and have been keeping track since I announced them last spring - I will be sending out a referral statement to anyone that referred me in the past year in February, just in time for spring and summer bookings, so if you showed me some love in 2017 you can expect to save in 2018. 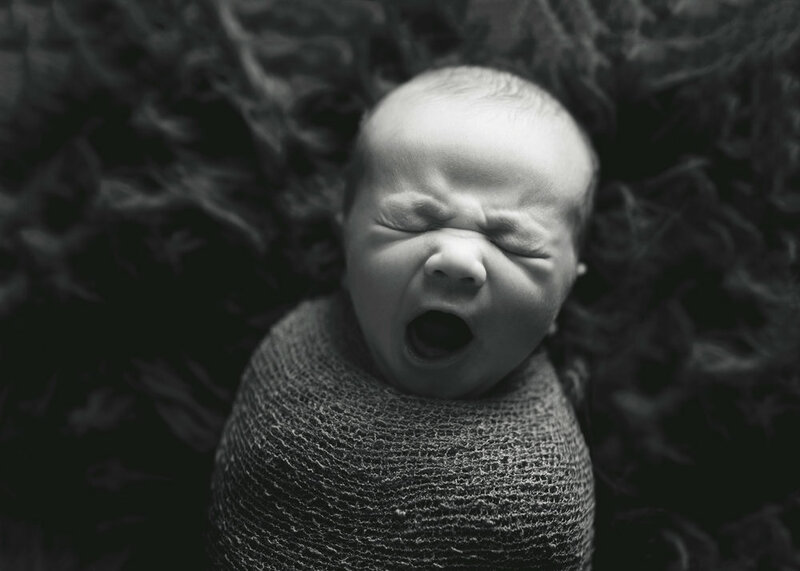 I met the sweet McRoberts family two years ago and was delighted when they asked me to photograph their newborn baby boy Noah last winter, one of me favorite sessions of all time..I mean how cute are they? Milestones, there are so many in life but birthdays in those early years are so special and fun. We are celebrating a milestone in our family this week, my little Taylor is 5 years old, and I can't begin to describe how fast those years flew by! It seems like yesterday we were trying to get her to dig into a smash cake on the floor of our tiny kitchen for her first birthday- she cried! 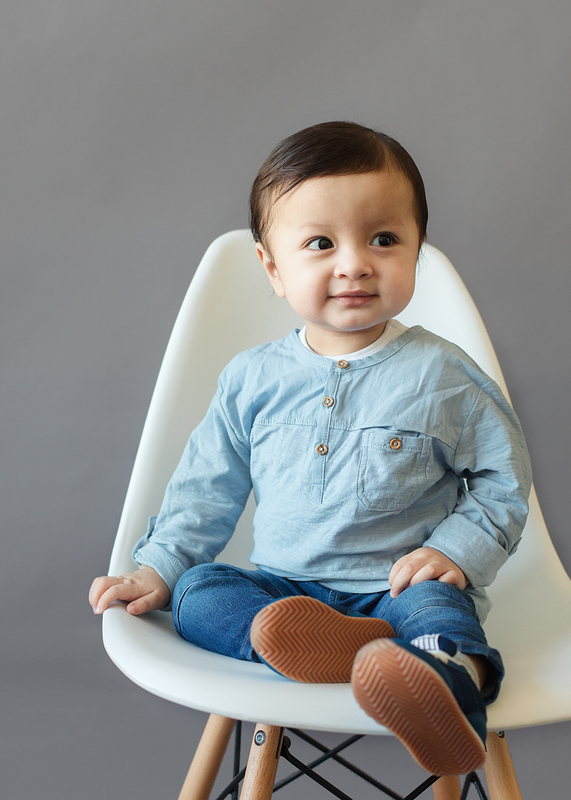 I can't wait to start offering milestone mini sessions in my in home studio for newborns to one year olds, details to come in the new year, but I a currently booking into 2018 at a discounted rate. Wow, I can't believe how many one year session I have been doing lately, I must have been very busy with newborn sessions this time last year. The absolute best part of my job is seeing the same families year after year, or every three months like my first year families. It is so incredible how fast one year goes by once babies come. Getting to capture that first year for families that choose my first year package is such an honour knowing that years down the road these photos will be so special to them. Some exciting news to share - Kelsie Kelly Photographer is growing. I am happy to announce that I will be opening a small studio space in my home in the spring of 2018. 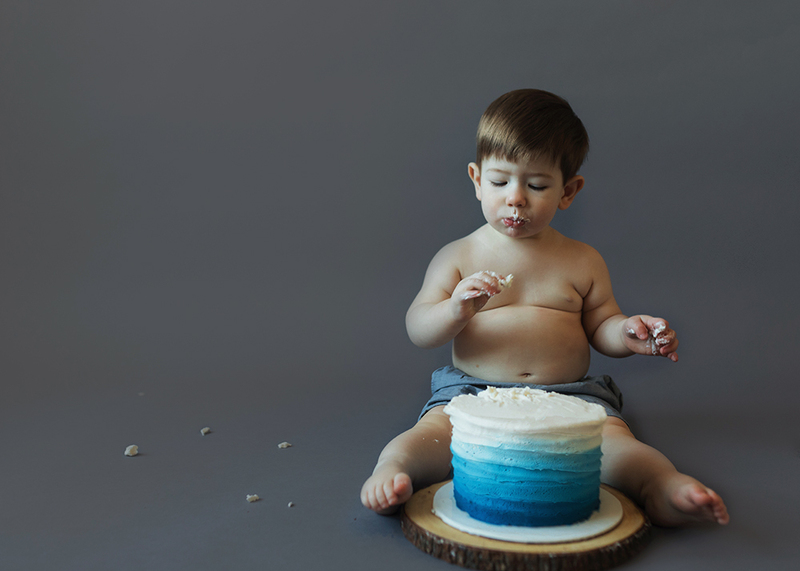 I am currently not booking any on location cake smash sessions, but will offer them once again when I open my studio space. Watch for more about my exciting new chapter on the blog soon. 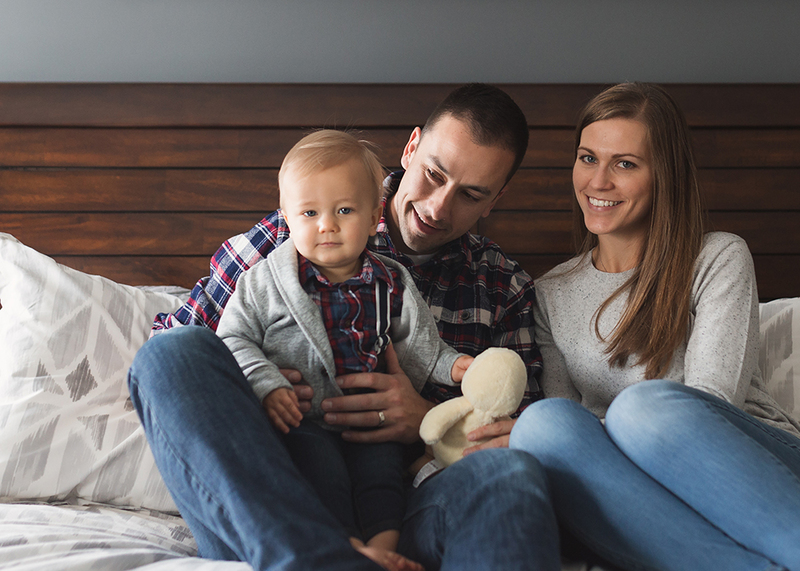 One of the most rewarding parts of being a newborn and family photographer is that I get to see so many babies grow up and also see families grow over the years. It never fails to amaze me how fast time goes by, the years I have spent raising small children just seem to have flown by as fast as months did when I was younger. Being able to capture that first year for so many families warms my heart as I know how special those photos will become when your baby is all grown up like mine; you will send them off to school for the first time then go back and look at how little they used to be and you will ask yourself - why did it have to go by so fast? Some exciting news to share - Kelsie Kelly Photographer is growing. I am happy to announce that I will be opening a small studio space in my home in the spring of 2018. 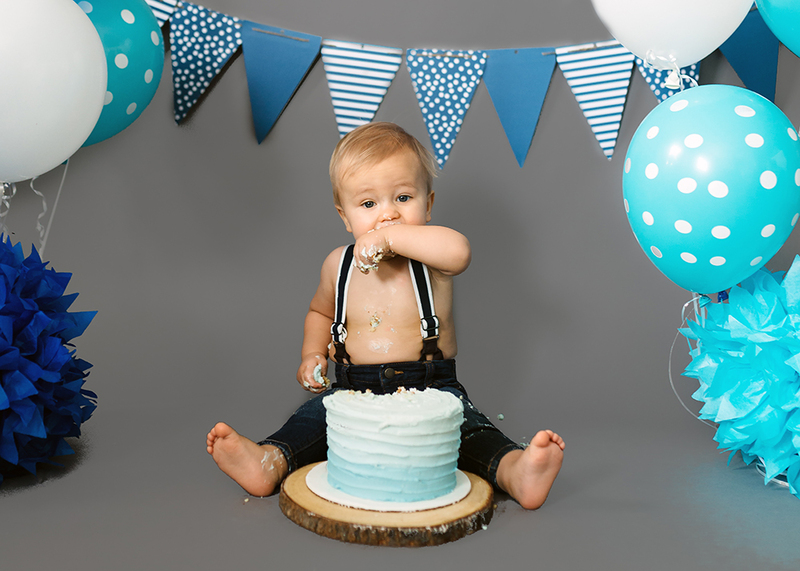 I am currently not booking any on location cake smash sessions, but will offer them once again when I open my studio space. Watch for more about my exciting new chapter next week on the blog. Milestones like first birthdays and anniversaries are a perfect time for family photos. 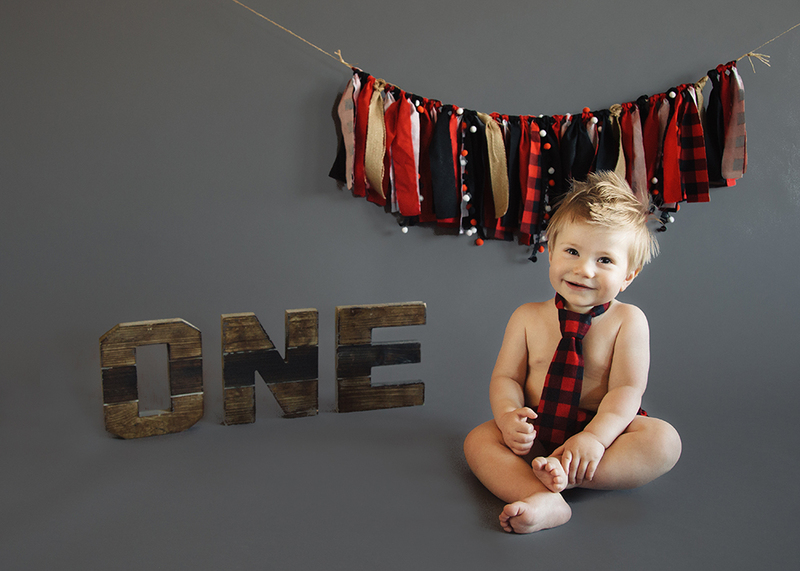 First birthday sessions can be photos of just baby, a mix of family and baby or just family photos. Anniversary can be of just the happy couple or of an whole extended family. The perfect way to capture a special time that you won't want to forget. Baby's first year goes by so fast and I am honoured to get the opportunity of capturing this fleeting year for so many families. 6 month sessions are some of my favorites, because they are full of sweet smiles and little milestones like touching toes and rolling over. I was so thrilled to meet these three girls, probably because I am a mom to three girls too! 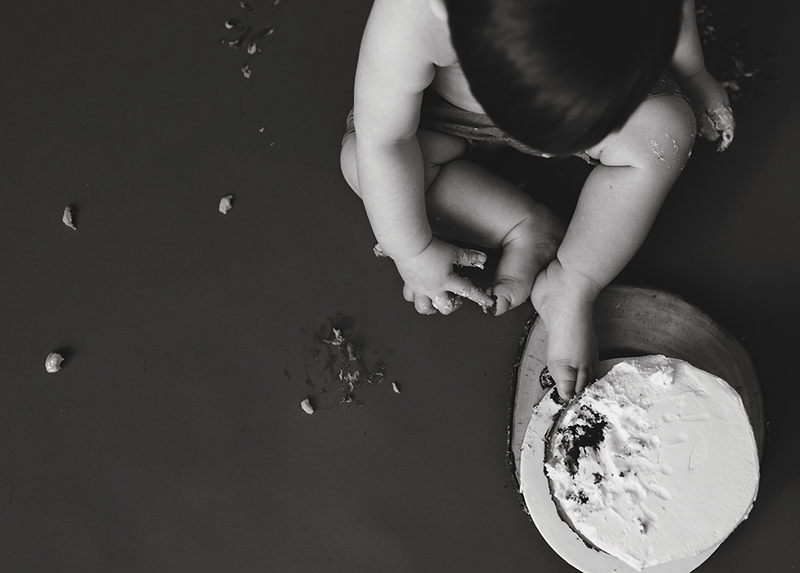 The adorable baby sister was about to turn one and it was time for first birthday photos and a cake smash. All the girls were so ecstatic to be in front of the camera, which made for such a fun session. Little Georgia didn't want to sit still for long, until the cake came out. Not a big mess, but you can sure tell she has a bit of a sweet tooth.